When we think of mega-matches through time, we probably think of matches like The Rock vs Hulk Hogan, The Rock vs John Cena, or even across sports like boxing, where we’ve seen icons of the Heavyweight, Middleweight, Welterweight and other divisions go head-to-head, selling out major arenas instantly. One of the mega matches that have been forgotten over time happens to be none other than Pedro Morales vs Bruno Sammartino at Shea Stadium in 1972. Taking place at the first of three events by WWWF called “The Showdown at Shea”, fans would see a match between two titans of their time, as Pedro Morales defended the WWWF Championship against former Champion Bruno Sammartino. Mind you, this may very well have been the first-ever “face vs face” feud in wrestling history. The fact that it was between two superstars of their caliber made it all the more interesting. But what led to this mega-match that’s been forgotten in time, but was once dubbed The Match of the Century? And why was it so important? It’s key to know the background of this story. By 1972, the landscape of WWWF had changed. 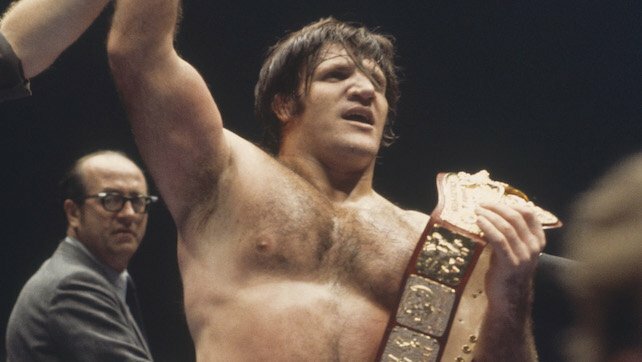 Sammartino had finished his 2803 day (or 7 and a half year) reign as WWWF Champion, selling out Madison Square Garden more times than he could have imagined. After being the face of the franchise, his body needed rest, and the torch was passed to Pedro Morales, who defeated Ivan Koloff just 21 days after the latter beat Sammartino for the title. Because of Sammartino’s absence, Morales had replaced him the hearts of the fans. However, it should be noted that Morales’ popularity as a champion was nowhere near the heights of Sammartino. Because Sammartino was an Italian-American immigrant himself, he drew the love of a lot of fellow-Italian immigrants and descendants. Morales, on the other hand, was Puerto Rican and attracted the Latino crowd. The seeds of the match was set one night when Morales and Sammartino teamed up to face Mr. Fuji and Professor Toru Tanaka. Mr. Fuji threw his signature salt on Sammartino’s eyes, temporarily blinding him. He would do the same to Morales as well, and the two babyfaces, assuming that they were attacking their opponents, didn’t realize that they were actually attacking each other. Vince McMahon Sr., who was running the company at the time (it would be another eight years before Vincent K. McMahon took over) knew exactly what he had in his hands: A big money match. To have a 22,000+ crowd at Shea Stadium, McMahon knew that he needed a blockbuster match, something to the level of a Boxing Heavyweight mega-match. What better way to run at Shea Stadium than having the two biggest icons of the business go head-to-head? So the stage was set for the classic, and on a rainy and stormy day, 22,000 Italian and Puerto Rican fans packed the Shea stadium. It should be noted that at the time, not just Madison Square Garden, but venues in New York were given a curfew of 11 PM to shut down. Interestingly enough, Sammartino, a long time hero, was booed during this match. Because of his decreased presence at Madison Square Garden, Morales was the new hero. In the match itself, Morales and Sammartino went a full 75-minutes before calling it a time limit draw due to the 11 PM curfew. There was even interference from the late, great George “The Animal” Steele. At the end of it all, Sammartino and Morales embraced, putting all the tensions behind them. WWE would host two other events in Shea Stadium over the next few years, with the 1976 version even featuring a younger Andre The Giant taking on boxer The Bayonne Bleeder Chuck Wepner. Wepner happened to be none other than the inspiration for the iconic Rocky series. The classic between Sammartino and Morales set the precedent for mega matches in the future. It may not be as talked about 47 years on, but it’s that will always go down in the history books.